The 275 was Ferrari’s first road car with a fully independent suspension and it was more powerful, better balanced and lavishly appointed than the successful line of Ferrari 250s that came before it. It also featured a rear-mounted gearbox. 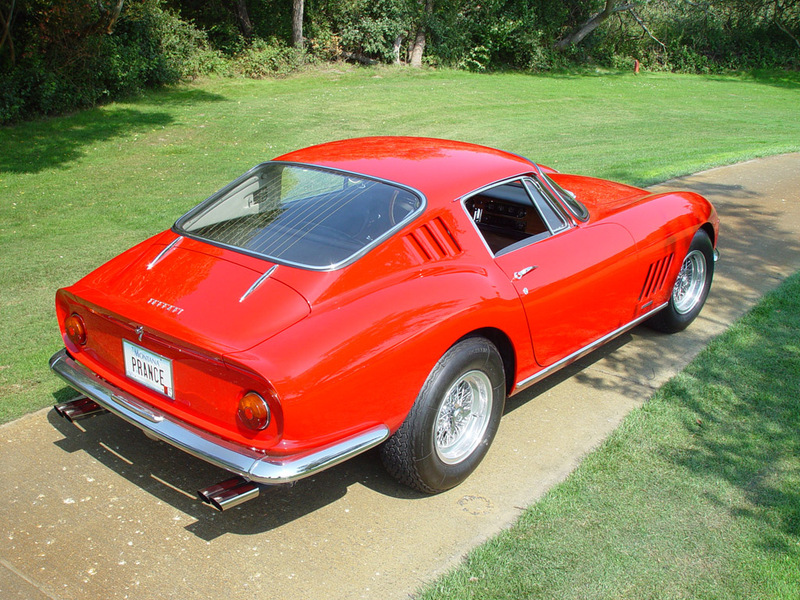 As unveiled at the 1964 Paris Motor Show, the 275 GTB was instantly recognizable by its Pininfarina-designed fastback body, long nose, cut-off tail, flowing curves and signature Ferrari grill. Underneath, motor sport features such as all-independent suspension, four-wheel disc brakes, a five speed transaxle distinguished the 275 from the much larger and heavier 330 GTC shown beside it. 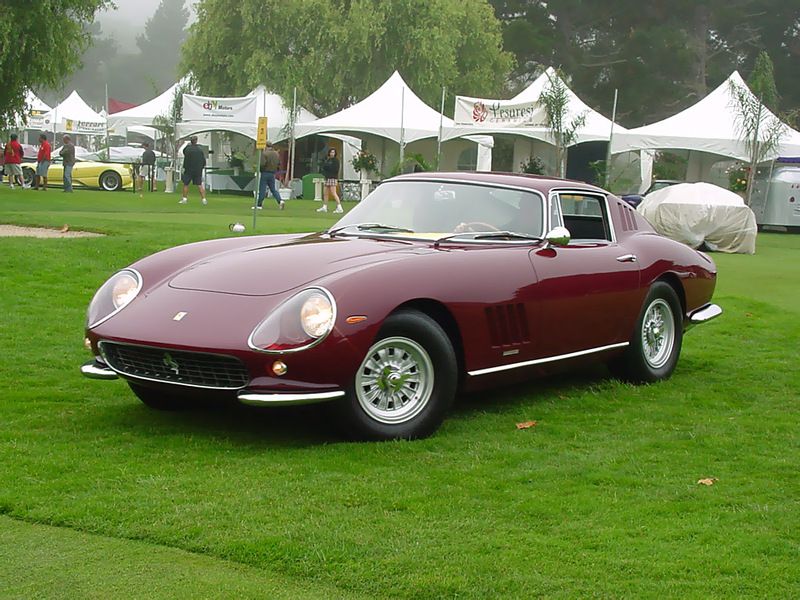 Despite its road-going intent, Ferrari was forced to reconsider the 275 almost from the day it was launched. After the rear-engine 250 LM was denied homologation, Ferrari had to begin fitting the 275 with competition engines and aluminum bodies for their race clientele. The most potent of these were three Competizione Speciales. These aggressive 275s were much faster than the coveted 250 GTO and lent their developments to the next series of 275s. 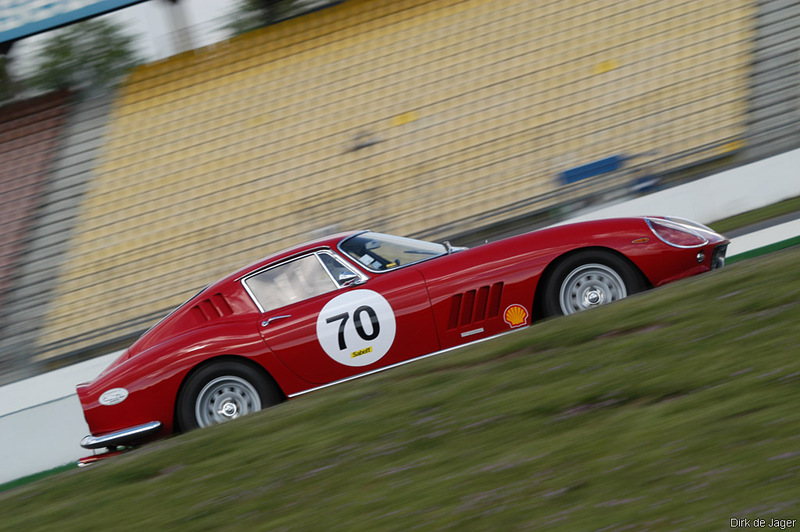 After being raced, lessons learnt with the competition cars were introduced in the 275. By 1965, an extended nose was used to help reduce front end lift. This was followed up in 1966 with torque tube that fixed the engine and transaxle in place to reduce unwanted cabin vibration. The 275 GTB was much more aggressive in appearance than its predecessor, with a larger radiator opening, featuring an egg crate pattern aluminum grille, angled rearward at the lower edge, bounded by quarter bumpers, with above them deeply recessed headlights under Plexiglass covers. The body featured powerful curves with overall lines that had echoes of the 250 GTO, with a long forward section and a set back cabin falling sharply into the short Kamm tail, carrying circular combination tail/turn light units on a lightly recessed panel similar to that of its predecessor. The body was designed by Pininfarina, and constructed by Scaglietti, normally in steel with aluminum doors, bonnet, and boot lid, although some examples received full aluminum bodies. The cabin was a three window design with a large deeply curved windscreen and an almost flat rear screen bounded by sail panels that featured triple cabin exhaust air slots that matched the quadruple arrangement on the front wings. The engine was an increased capacity derivation of the single overhead camshaft per bank V12 Colombo designed “short” block unit, with factory type reference 213, of 3286cc capacity, with a bore and stroke of 77mm x 58.8mm. It was fitted with a bank of either three twin choke Weber 40 DCZ/6 or 40 DFI/1 carburetors, or the optional six Weber 40 DCN3 assembly, with a twin coil and rear of engine mounted distributors ignition system, to produce a claimed 280bhp. Sources & Further Reading: 1. Pourret, Jess. Ferrari 275 GTB 275GTS 275 GTB-4A. Publi-Inter, 1984.